When a snow day Scrooge tried to destroy a massive snowman by driving their vehicle through the center, they hit a surprise tree stump. "Life is hard, but it’s much harder when you’re stupid," said Cody Lutz who shared a photo of the incident on Facebook. 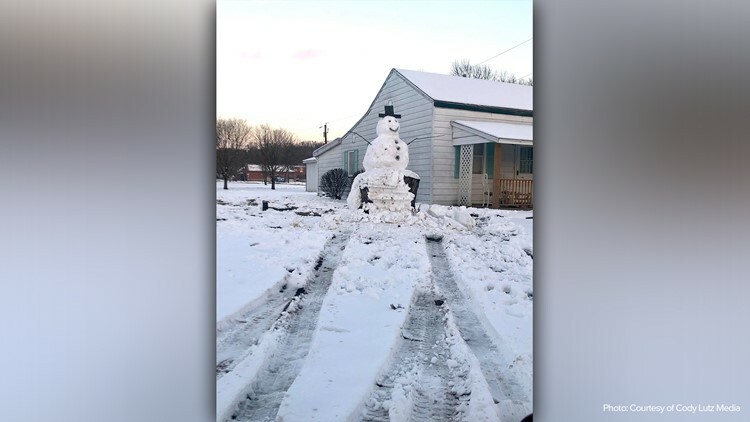 Someone tried to drive their vehicle through a snowman in Kentucky without realizing there was a massive tree stump in the middle. Enjoying the weekend’s snowfall in Petersburg, Kentucky, Lutz decided to build a snowman with his fiancée, Lucy Sandifer, and her sister, Laura Sandifer. Using a massive tree stump as the base, they created a nine-foot-tall Frosty, complete with a big smile and black top hat. Lutz said his neighbors loved him and honked their horns as they drove by. But someone was not a fan and apparently tried to drive their ATV through the snowman. But their plan was stumped (literally) when they hit the tree in the center. Lutz said he could still see the “snow imprint of a bumper” when he got home. 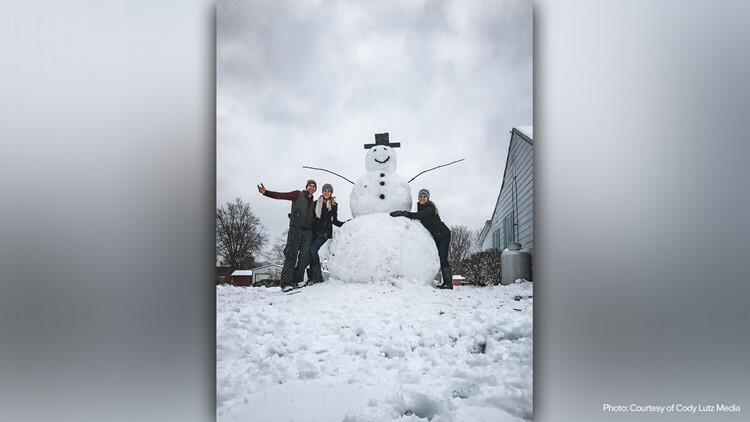 Cody Lutz built a massive snowman with his fiancée, Lucy, and her sister, Laura, in Petersburg, Kentucky. Luckily, Frosty survived the incident – still standing and still smiling. “Frosty certainly had the last laugh!” said Lutz.